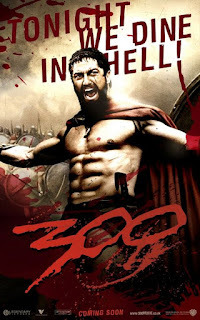 On this week's episode, what is somehow the THREE HUNDREDTH EPISODE of We Hate Movies the guys go big (and obvious) by tackling the terrible Zack Snyder film, 300! What's with all the hootin' and hollerin'? What did King Leonidas have against messengers? And who dropped the ball when hiring that Baby Inspector? PLUS: Laura Linney and Sean Penn star as their Mystic River characters in a Boston-set remake of 300! 300 stars Gerard Butler, Lena Headey, Dominic West, David Wenham, Michael Fassbender, and Rodrigo Santoro; directed by Zack Snyder. On the occasion of our 300th episode, we'd like to extend our sincere thanks to you, the listener, without whom this podcast would not have lasted anywhere close to this long. THANK YOU!